Please go to the DfE’s “Find Postgraduate Teacher Training” to search for training places, then go to www.UCAS.com to apply for SCITT & School Direct places with the Doncaster ITT Partnership for 2019-20. Please note that PE is always very heavily over subscribed and places are always quickly filled, so please consider if you have the relevant skills, experience or degree (i.e. Sports ‘Science’) to perhaps consider applying for another subject (e.g. Biology or Primary etc.). The DfE have again committed to supporting a limited number of additional PE places where the applicant has: a good A-Level pass in a relevant EBacc subject; can demonstrate an ability to develop their subject knowledge (SKE may be available) and train to teach ‘some’ of that subject in addition to PE. All assessments for the award of QTS will still be based on the PE element of training, but will enable the trainee to be considered for a teaching timetable that included the EBacc subject in future. Previous PostFor ITT and NQT Mentors in all Doncaster schoolsNext PostTeach in Doncaster and get your student loan repaid! Hello. I am looking to apply for ITT. I currently work in a primary school in Conisbrough. I am due to finish my BA Hons Top Up Early Childhood Studies. I am hoping this is my best route but wondering what it entails. Thank you for your interest in training to teach in Doncaster – we have sent you a more detailed response by email and hope that you can possibly come to our Information Event tonight. Hi I’ve completed a BSC Hons Degree in Sports Development and Coaching looking to go into teaching. Physical education but interested in the primary sector also. Please can you provide me with any information on how to progress to an application. Sadly we’ve now closed PE (although it was til showing on UCAS earlier) although we are still open to PE & EBacc – i.e. a strong A-level in an EBacc subject or yes, Primary. We’ll email you some additional details about applying. 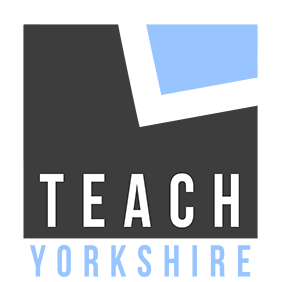 I was disappointed to find Doncaster ITT had decided to cancel their attendance at the Teach Event in York on December 4th. You are the first provider I wanted to speak to. Do you have any further open days that I can attend to find out more information on the courses I am interested in? James – we’re very sorry that you didn’t get to meet us at the York event. We tend not to see very many possible applicants who wish to train in Doncaster at the York events each year, but we had hoped to go to at least see those few who may. However we were told by the event organisers on the day of the event that very few people had registered to attend the event and with an Ofsted Inspection of our provision underway, we had to prioritise staff’s commitments. So understanding that we would be unlikely to see many/any possible applicants, reluctantly we withdrew from attending. We can only apologise for you not being able to discuss your application with us. We do have a number of upcoming ‘open days’ / ‘drop-in’ sessions in local schools after the New Year, which we have details of on our website. Alternatively please contact us directly by email or telephone if you have a specific question. We’ll send you some additional information and useful links by email and then please let us know if you have any further queries or perhaps we can discuss your application at one of the drop-in days? Once again, please accept my apologies for our non-attendance at York. It is very unusual for us to not attend an event if possible, but we hope you understand the circumstances that led us to not attend on this occasion. We look forward to further discussions with you regarding your possible application. Hi, I’m within my final semester of a Ba(hons) Physical Education degree, and I am enquiring about any possible application spots available for Primary or PE as that is where most of my work experience is focused on. Cameron – my apologies for not responding earlier, but we were on half-term holiday last week and this has been the first time back on our site since returning. We are limited for PE places by the government each year (only 2 this year), so these always fill up early and so we are no longer recruiting PE. We can offer some additional PE places with an EBacc subject (Maths, History, Science etc. ), but applicants have to commit to extra training in their EBacc subject area and must have a good A-level in that subject. However, we are still recruiting for Primary places. Go to: https://find-postgraduate-teacher-training.education.gov.uk/ and search for Doncaster ITT Partnership and then apply on UCAS. Please email us on: ittpartnership@doncaster.gov.uk if you have any further questions, otherwise we look forward to possibly receiving an application from you. Hi, I would just like to find out if applications for the primary course are still open? Also, I have recently graduated with a BSC (hons) degree in Psychology, would this mean I would not be considered for the ITT course you offer as it is not directly relevant for primary? Sorry for the delay responding. Yes we are still looking to recruit Primary and yes your degree would be suitable for Primary as we have had many previous trainees with same/similar degrees.